Lizzie Durack has impressed in England’s youth teams. Can she add to the one and only senior cap she earned in 2014? When Lizzie was just eight years old she confidently declared to her parents over breakfast: “I’m never letting in a goal. Ever!” It was the morning of her first football match. She had been kicking a tennis ball around with the boys in the playground at school for the past two years, but this was her debut on a football pitch; with an actual football; and she was in goal. It didn’t quite go as she had predicted: “I think we were 4-0 down by half time,” she remembers with a laugh. Things did get better for Lizzie, though. Much better. Just over a decade later, she was selected for the England team for the 2013 under-19 European Championship – the biggest stage she’d played on thus far. She kept a clean sheet in every game up until extra-time of the final, and the team won a silver medal. Lizzie was also rewarded with inclusion on UEFA’s ‘Top 10 players of the tournament’ list. But it could all have been so different. Had it not been for her self-belief she may have never pulled on an England shirt. Sydney-born Lizzie was called up to the Australia under-17 national team and was just 16 when, a few months later, she was told she would never be selected for her country again. Many girls drop out of sport in their teenage years, battling with the negative perceptions associated with being a competitive sportswoman (and the desire to have relationships and frequent nightclubs). But not Lizzie. “I didn’t agree with the coach. I thought I was good enough,” she explains. Luckily, Lizzie already had a British passport through her mother, who’s from Doncaster. The opportunity to switch footballing allegiances came when the English Football Association contacted her university, Harvard. 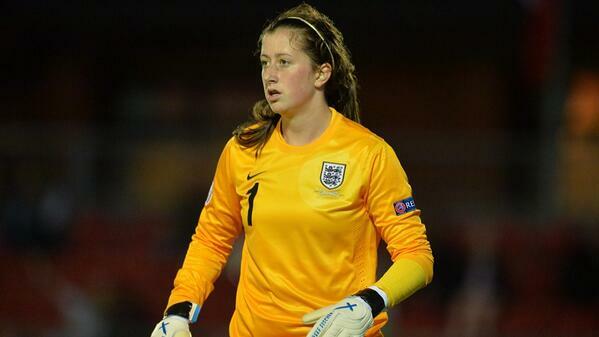 She was invited to England’s under-19 training camp and hasn’t looked back. In the mean time Lizzie is focused on her education because, despite the advances and professionalisation of the women’s game in England in recent years, it still doesn’t provide financial security for the majority of its players. 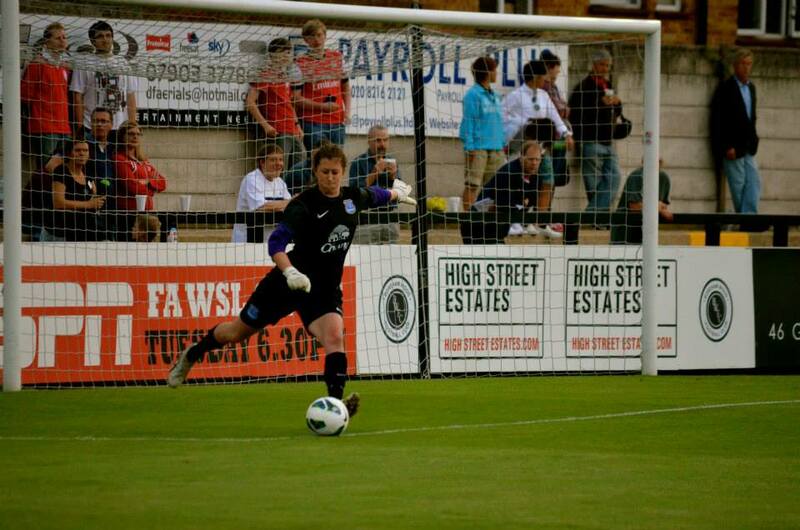 “Men get paid too much,” says the former Everton Ladies goalie. 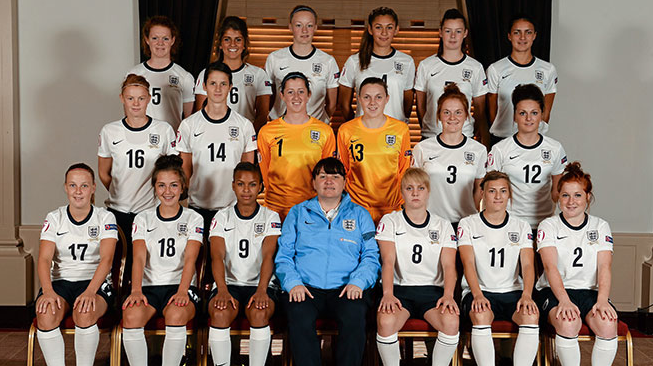 “As women footballers we’re not expecting to get paid millions and millions of pounds. We’re expecting to be able to earn enough to live off and save a little bit. There’s no real pension. And there isn’t really anything there for us when we’re done. “We’re at this awkward stage [in the women’s game],” Lizzie tells me. “It’s great that we’re going full time, but if we don’t get more money there isn’t enough incentive for people not to go to university. If I get injured tomorrow what am I going to do? Even if I make it to playing at 30 or 35 years old, what do I do when I’m done? Studying at one of the most prestigious universities in the world, Harvard in the United States, certainly gives her the best chance of doing just that. “We have some pretty impressive professors here,” she says. “It’s a challenging place to study. But people would be surprised, we’re all just normal people! We’re not all geniuses cracking codes – although there are some people like that!”, she laughs. Lizzie combines her economics degree with being a full-time footballer for the university. She also studies neurobiology, which often means cutting into sheep brains. She assures me it’s “pretty fun.” She smiles as she recalls a typical day in the laboratory. “The brains come in buckets with a solution in them, like a watery thing. So they’re like floating brains! You have to pick one up and put it on your lab desk. Gloves and surgical instruments are used – we’re not just ripping them apart with our hands! When she puts down her books and graduates next year, Lizzie already has her next move sketched out. “I’d love to be involved in a full time setup [at an English club]”, she reveals. I want to be giving myself the best chance to play and be seen by selectors [for the England team]. Considering the strides Lizzie has made in the youth setup, I wouldn’t be surprised if England’s senior number one Karen Bardsley had a challenger come the next World Cup in 2019.